Jae Hyuk found himself tricked by Young Gul, and is furious. Jae Hyuk came to Young Gul’s shop, and angrily asks Ga Young if she colluded with Young Gul to set him up. Ga Young who blamed herself drinks together with the colleagues. The drunken Ga young returns to the shop and tell the words inside her heart to Young Gul. Anna goes to find president Jo. She wants to join hands with president Jo to deal with Ga Young. Jae Hyuk decides to use Ga Young to hit back against Young Gul. Young Gul immediately goes to argue with Jae Hyuk once he learned of it. Jae Hyuk forces Young Gul to sign the declaration that Ga Young stole the design of Anna. After careful consideration, he proposes a win-win solution. 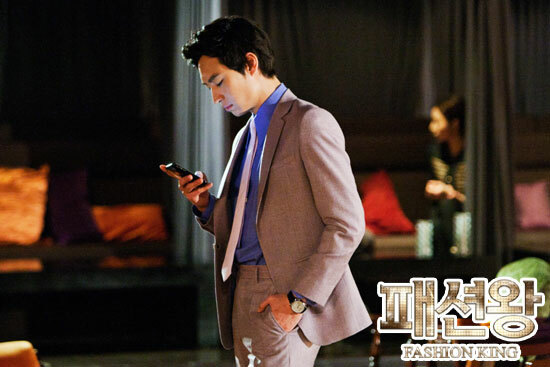 Viewers Criticize Fashion King Plot - Should Rename to "Sluggish King"